Two NIH3T3 cell lines of different origins circulating in the world. 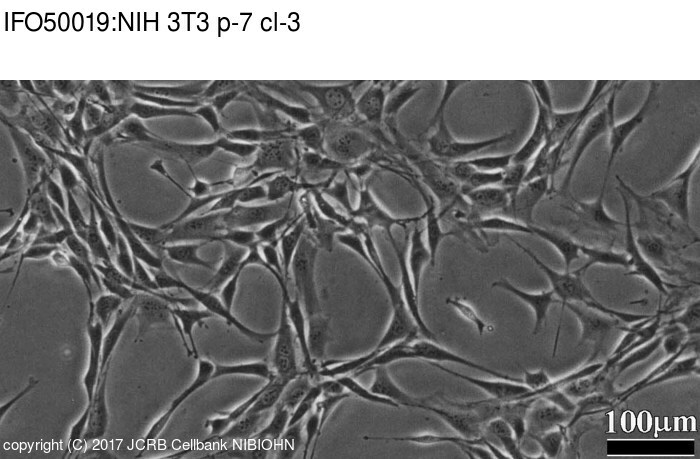 Requirement for ras proto-oncogene function during serum-stimulated growth of NIH 3T3 cells. [Therapeutic results in adult acute leukemia in Giessen]. Murine sarcoma and leukemia viruses: assay using clonal lines of contact-inhibited mouse cells. Cells were harvested after treatment with 0.25% trypsin and 0.02% EDTA. Do not allow the cells to full confluency.